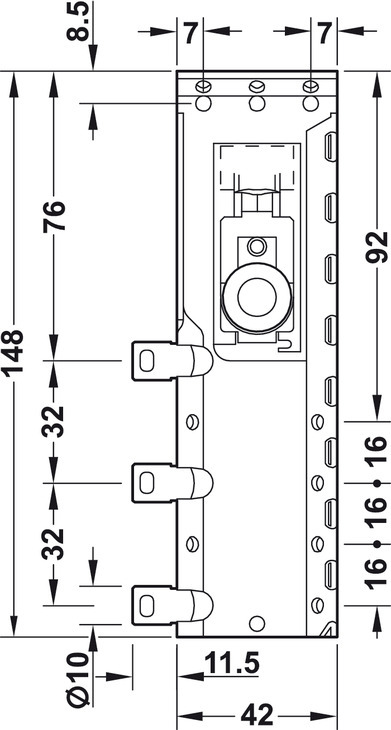 The values only relate to the dimensions used in the DIN standard. 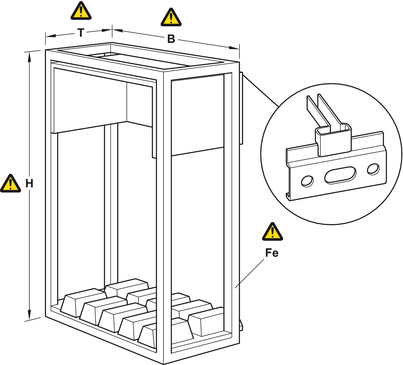 The nominal load bearing capacities of the cabinet hangers result from the tests according to the respective standards. They relate to the correctly positioned and mounted product without taking variables from the construction of the finished furniture item and the wall mounting type into consideration. Recommendation: Adherence to the specified dimensions, testing of finished furniture item in accordance with the relevant national standards. Please contact an accredited institution for further information. 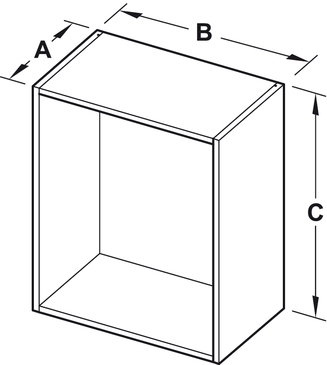 Dimensions and materials of the furniture. 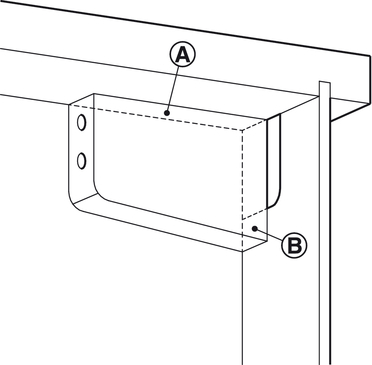 Support of cabinet hanger at top panel (A) and rear panel (B). 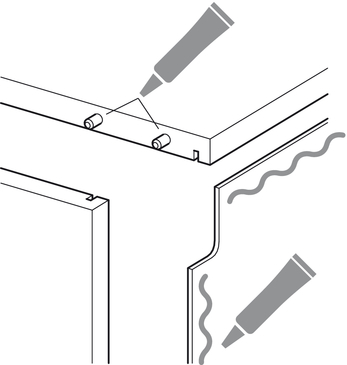 Presence, position and number of dowels, connections and adhesive. 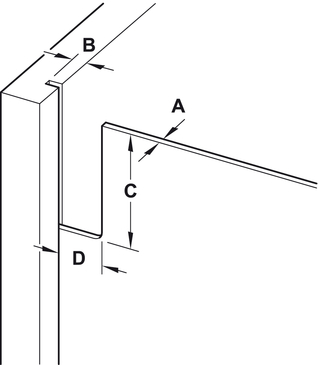 Type, diameter and length of screws used. 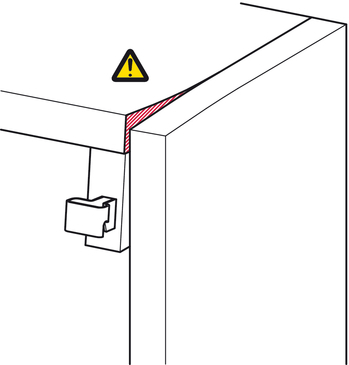 Supporting surface of the arm on the panel/rail. Extremely deep and simultaneously flat cabinets create a strong leverage effect. Art. no. Select article number 290.04.910 Cab.susp.fitting st.galv.r. 290.04.911 Cab.susp.fitting st.galv.l. 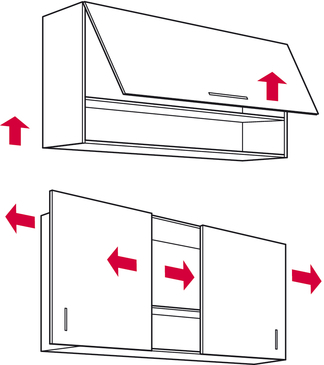 The cabinet hanger must be fitted in accordance with the installation instructions for safety reasons. 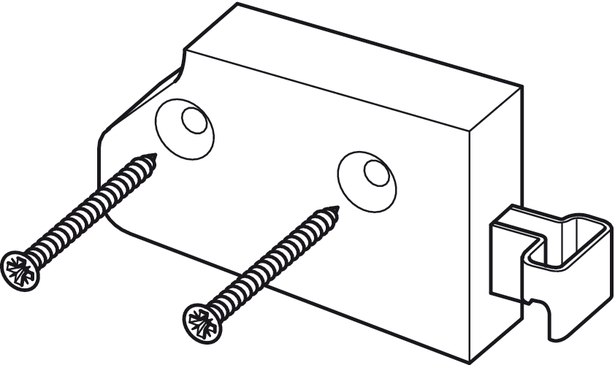 The hook-off protection (yellow galvanized screw) is activated when fully screwed in. 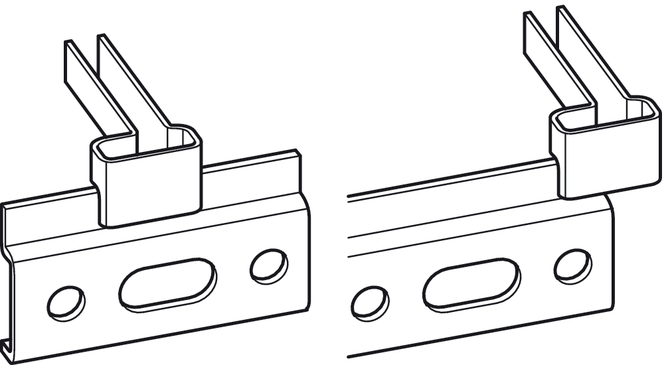 Hook-off protection can only be used in combination with cabinet hanger and wall plate. 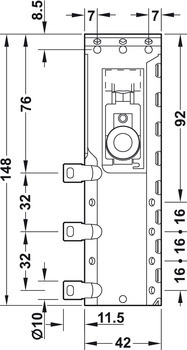 Please order wall plate separately. Please note the safety information for cabinet hangers.